We know that praying is important. We want our kids to experience life-changing prayer. But how to we teach our kids to pray – especially when we feel a bit lacking in our own prayer life? The author begins with laying a foundation for how to pray and establishes the fact that kids can pray and that it will make a difference. Then she takes us through several key areas of life, describes some biblical perspective and shows how prayer might be used. 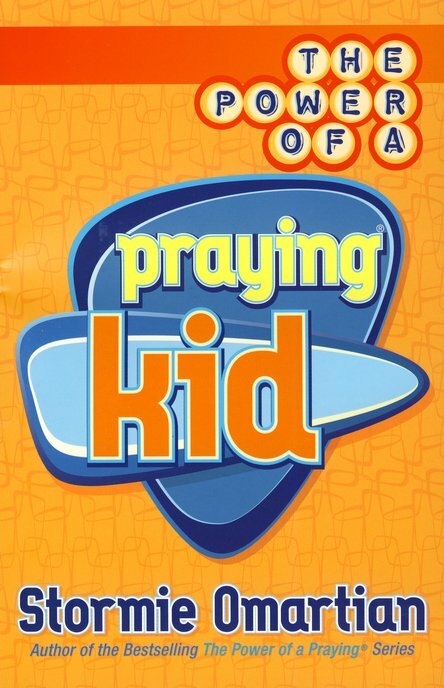 Along the way, the author shares examples of prayers from other children and provides guidance for engaging in simple prayers. I was impressed with Stormie’s approach to the subject of prayer. The text is written in simple, straight-forward language that most children will understand. And, I like the fact that she engages key areas of life – acknowledging the difficulty from the child’s perspective, providing a Biblical worldview of the subject, and then showing how prayer can be used. I see great opportunity to use this book as a framework for engaging parents and children in conversations on a most-important subject. This is a book that I would highly recommend. Give this to a child as a book that they can write in and keep with them. You may want a second copy for yourself to give inspiration in helping a child engage prayer as they walk through life. Thanks for stopping by! Here, you'll find thoughts and tips on being intentional in your family, your life, and in your leadership. Read more about me and this blog here. And, you can learn about subscribing here.